One of the downfalls of living in a smaller community is the lack of selection when you’re heading out shopping. I have two very fashion conscious daughter who always want to look their best. Sometimes it can be difficult to find clothes they like in a town with only a few stores to shop for school clothes. Thankfully, the Internet has opened up another avenue for me to find clothes that my girls will love and I can even save a little money too in the process. I don’t have to waste a day in the city navigating the busy malls and traffic. Carter’s | OshKosh B’gosh is one store we always hit up on our shopping trips in the city. I remember outfitting both girls as babies in OshKosh B’gosh clothes. I was over the moon excited when I discovered that Carter’s | OshKosh B’gosh Canada recently launched a new eCommerce site. Now I never have to leave my couch to go school shopping for Bridget. Good thing because I wasn’t planning to go to Ottawa anytime soon. Car troubles…but that’s a whole other post! Their new eCommerce site is easy to navigate, fully bilingual and pricing is all in CAD. And get this- you won’t have to worry about getting dinged with customs charges because all orders are shipped within Canada. I was very pleased to learn that because I seriously dislike those “surprises” at the door. Shipping is also very affordable at a flat rate of $8 per order. Earlier this week, I tested out the new site by placing an order for school clothes for my youngest daughter, Bridget. She’s nine years old and always wants to look her best. We sat down together to browse through the Carter’s | OshKosh B’gosh site and choose some pieces for back-to-school. I think we went through almost every page since Bridget wanted to make sure she saw everything before making a decision! 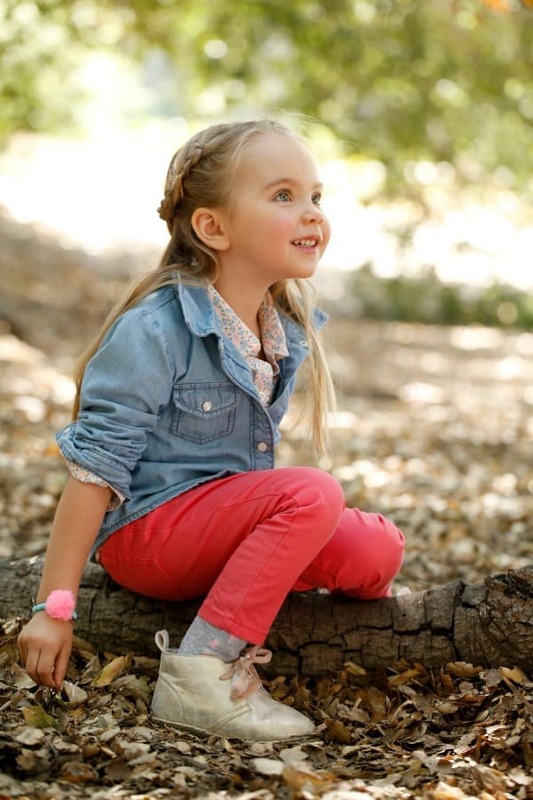 The site features clothing, shoes and accessories from both brands for babies, toddlers and children. Bridget is wearing a size 10 right now so I went shopping under the Kid Girl section. I also like how it allows you to refine your search and show only items in the specific size you need. Carter’s right now is all about the “wear now” type of clothing. With temperatures fluctuating between hot and cold as we near into fall, they are featuring pieces that can easily be layered. This way the child can take a layer off if it’s hot out or add a layer for those cooler fall days. Vintage Prints– Look for graphic tees featuring ponies, puppies, florals and foxes. We found a bunch in the Back-to-School Sale section on for only $5! 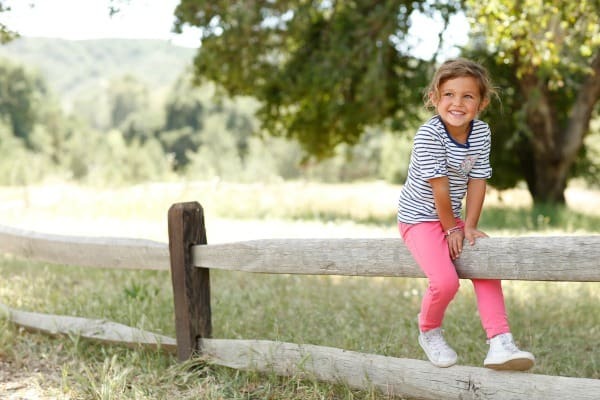 Tomboy Chic– Mix and match to create a fun “Tomboy Chic” for your child. One example is to pair a pleated lace skirt with a raglan sweatshirt, varsity tee and printed skinnies. Notice the layering there? For boys, it’s all about the plaids! Carter’s has taken this traditional pattern and modernized it with some new colours. Look for it in shorts, denims, cargos and layer it up for a style that’s all his own. Activewear/”Ath Leisure: Search under Activewear for jersey tees, yoga pants, terry pants, jumper pants and more. Camouflage: Now girls can wear camouflage too! Soften up a camo pair of pants with a girly pink sweater or vintage floral tee. OshKosh B’gosh has a few fall trends of its own. Here’s a few that I’m digging right now. For girls and boys be on the lookout for loads of denim, the heritage of the brand. Remember overalls? I had a few pairs of denim overalls growing up. They are back up to size 12. Also, find denim shirts, skirts, jackets.and jeans. The Essential Wovens are comfy button down shirts and the OKO (OshKosh Original) Tees are available in new graphics, prints and colours. For girls, get some TLC- Tunics & Leggings Collection! It makes for easy mix and matching the variety of prints and colours. For boys, the Triple Jumper Pants and Fleece Pants are all about being stylish and comfortable! I spent a total of $88.32 on the site for Bridget. That amount includes HST and the flat rate shipping of $8. I purchased quite a few items from the Back-to-School sale including two Originals Graphic Tees ($5/each), Skinny Jeans-Dark Wash ($10) and Glitter Stripe Leggings ($7.50). I also purchased the French Terry Striped Dress ($18), Stretch Jersey Yoga Pants ($10) and Stretch Skinny Twills ($20). She’s going to be all decked out for her new school! I can’t wait to how she looks in her new outfits. 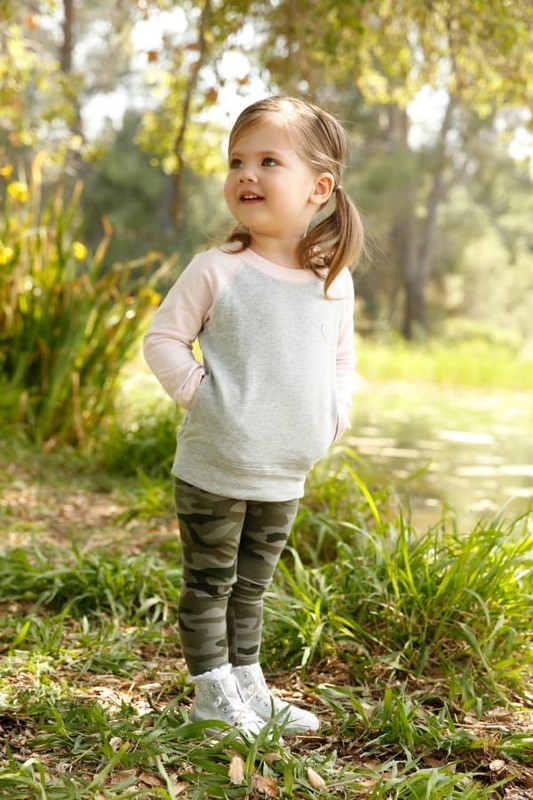 If you’re shopping back to school for your children, make sure you check out Carter’s | OshKosh B’gosh’s new Canadian site to find some awesome deals on the latest trends for kids! 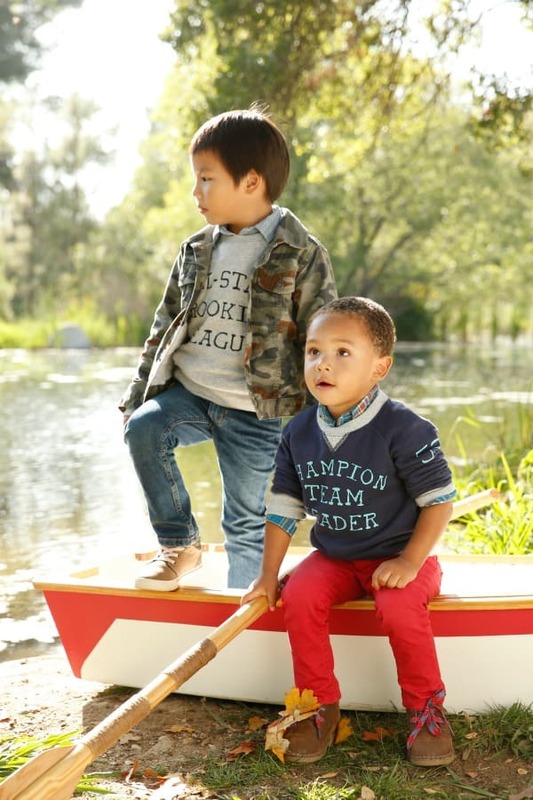 Connect with Carter’s and OshKosh B’gosh on Facebook. Disclosure: Carter’s | OshKosh B’gosh Canada partnered with bloggers such as me to help promote their back-to-school season. As part of the program, I received products or gift cards. Carter’s believes that consumers and bloggers are free to form their own opinions and share them in their own words. Carter’s provided me with information on promotions and messaging concepts, but did not tell me what to purchase or what to write in my blog or what to say about the products I used. The winner of any giveaway in this program will be randomly chosen and gift card fulfillment will be handled by a third party. I’d like to buy Carter’s Promoted To Big Brother Tee and some sweaters for fall. I would like to buy the Carter’s 3-Piece Bodysuit & Pant Set. Carter’s preemie clothes were all my little guy would fit while he was in the NICU. I love the shawl collar sweater!! they look so preppy on my boys!! I would get the Carter’s 4-Piece Cotton PJs for my little guy. Warm and cozy on cold nights! I would buy some Carter baby bibs and little outfits for my grandchild due before Halloween. I would buy jeans and t-shirts for our daughter …she’s growing like a weed!! !